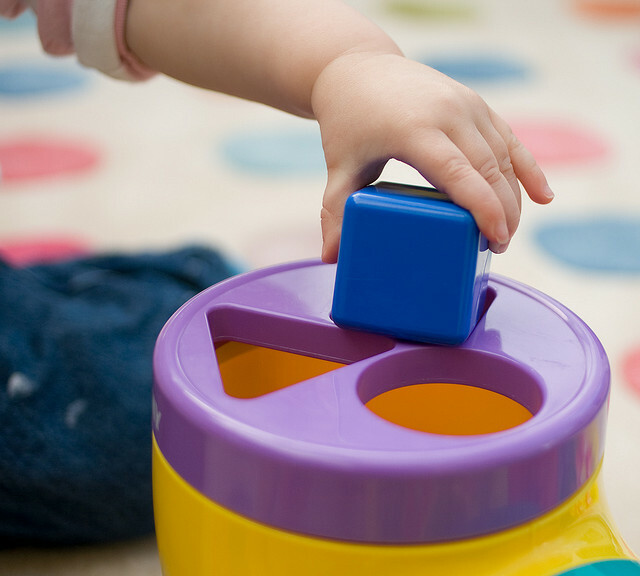 If you have observed a small child force a square peg through a circular hole, then you can understand multiple sclerosis and the process of demyelination. With that being said, pervasive toxins are a little more elegant in their efficiency. The molecules in pesticides are so tiny they can travel in our blood stream, masquerading as something our body requires and end up dissolving into the fatty tissue of our brain. This process is widely known within scientific community as enzyme mimicry. Looking at the cables in image to the left, can you see a difference? Both have a core, a sheath wrapped around that core, and both conduct electrical impulses allowing two-way communication. What they also have in common, is that when they are damaged, signal loss occurs. Of course, everyone knows the cable on the left attaches to your modem. So, what of this cable on the right? The cable on the right is the cable inside your brain. It is called an axon. The coil wrapped around the axon, is a fatty tissue called myelin sheath. Myelin is made up of 20% protein and 80% lipid. Lipid is just a fancy word for fat. Essentially, myelin is the fat wrapped around the cables in your brain. The purpose of the myelin sheath is to insulate the axon and conduct an electrical impulse controlling your motor skills. The myelin sheath allows this because it is a fatty gelatin like tissue which contains ion channels that help guide the signal. When lipid soluble toxins found in pesticides come in contact with myelin, they dissolve, scar tissue will form, and the signal can no longer pass through. If you are an electrician, you may be interested to know that the signal hops between the gaps. It is similar to arcing. In the image to the right, we see two axon terminals with a computer cable in between. It is this exact point, where neurological disorder occurs. Notice the circles inside the axons that look like faces. Think of them as a cartridge holding neurotransmitters. A neurotransmitter is just a chemical that transmits a signal. When they shoot out of the terminal they explode, and the little particles fall onto the receptor. This is known as a chemical synapse. Once toxins reach this point, they can inhibit the receptor blocking the synapse, interrupting the transmission of the neurotransmitter. This is not where demyelination occurs though. The process will take place before this point. Pervasive toxins have the ability to pass through the walls of the axon before they reach the receptor, and dissolve into the myelin sheath. Over time, as this process continues, lacerations (tiny cuts) will occur, and scar tissue will form as the body attempts to heal the wound. This is the condition known as multiple sclerosis. Finally, in this image, we can see a healthy nerve vs. a damaged nerve. If you observe the damaged nerve, the myelin sheath is scarred, and the red arrow representing the signal cannot pass through. This is what is happening to someone with multiple sclerosis. In summary, your brain is nothing more than a computer, an organic one at that. If you wish, think of a chemical synapse as the software for your brain, designed for memory and thought. Think of the electrical synapse for hardware, controlling arm movement, legs and such. 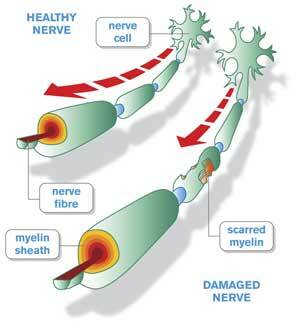 Progression of scarred myelin will lead to paralysis as the line of communication is cut. Unfortunately the damage is irreversible as humans prove incapable of repair.